Bits of caramel and M&Ms speckle the top of each and every one of these Caramel Candy Apple Brownies making each bite as good as the last. 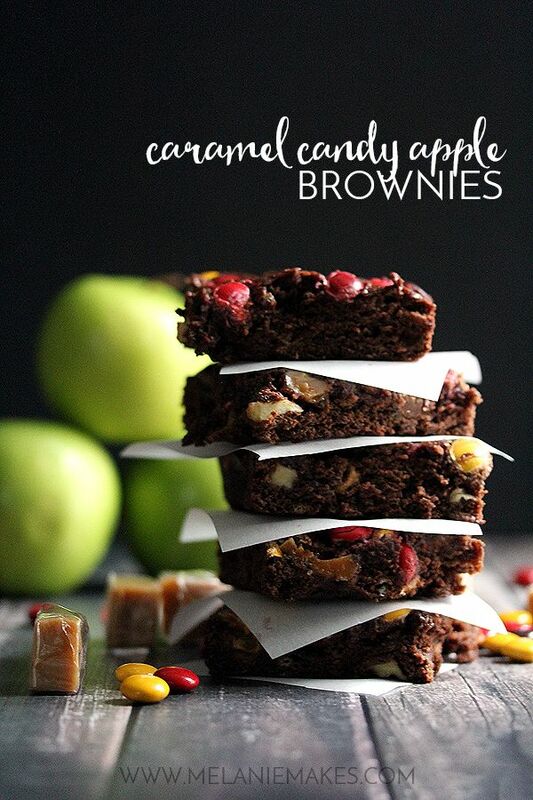 Forget the candy apple on a stick, these brownies are where it’s at! Apparently, fall has arrived this week in Cleveland. What started as a week of temperatures near 80 degrees has morphed into rain coats, galoshes and temperatures hovering around 60 degrees. 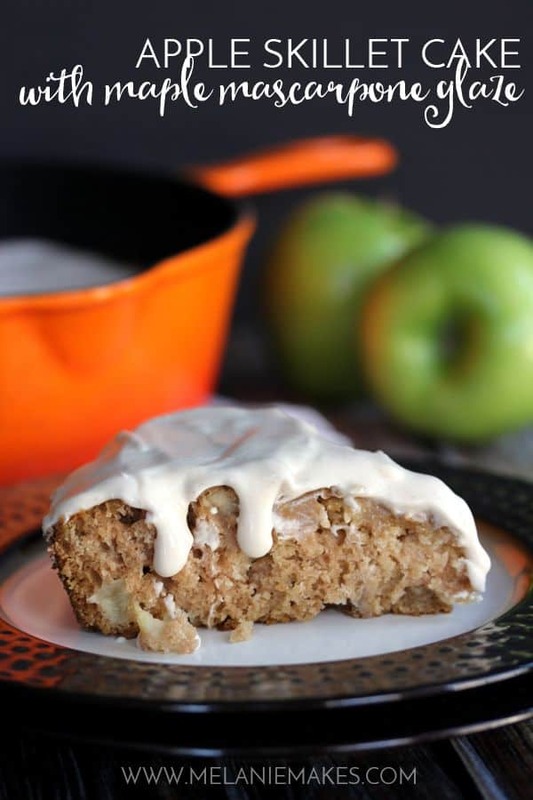 The mere thought of Fall had me dreaming of new recipes with seasonal flavors, including apple. What is it about cooler temperatures that immediately bring visions of apple picking, pies and other treats? For me, I was thinking about candy apples. 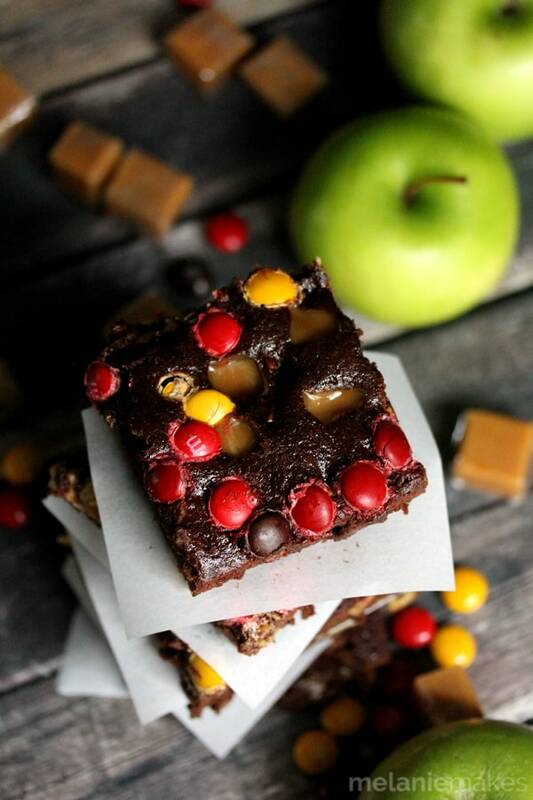 Enter Caramel Candy Apple Brownies. I’ve mentioned my love of brownies before and this version couldn’t be more perfect for Fall. Especially when paired when a tall glass of milk. 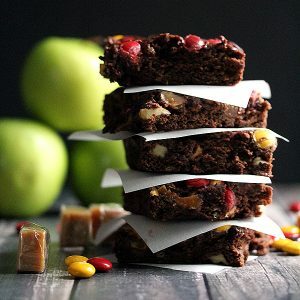 A rich chocolate brownie that substitutes applesauce for butter and also includes apple juice and apple slices as well. So much apple in every bite! And then there’s all the good stuff piled on top. Bits of caramel and M&Ms speckle the top of each and every brownie making each bite as good as the last. Forget the candy apple on a stick! These brownies are where it’s at! In a large bowl, whisk together apple sauce, cocoa and apple juice. Add sugar, eggs and vanilla to bowl and whisk to combine. Stir in flour, cinnamon, baking powder and salt. Fold in dried apples. Pour batter into greased 9x13 pan and sprinkle with caramels and M&Ms. Bake 20-22 minutes or until a toothpick inserted into middle removes cleanly. 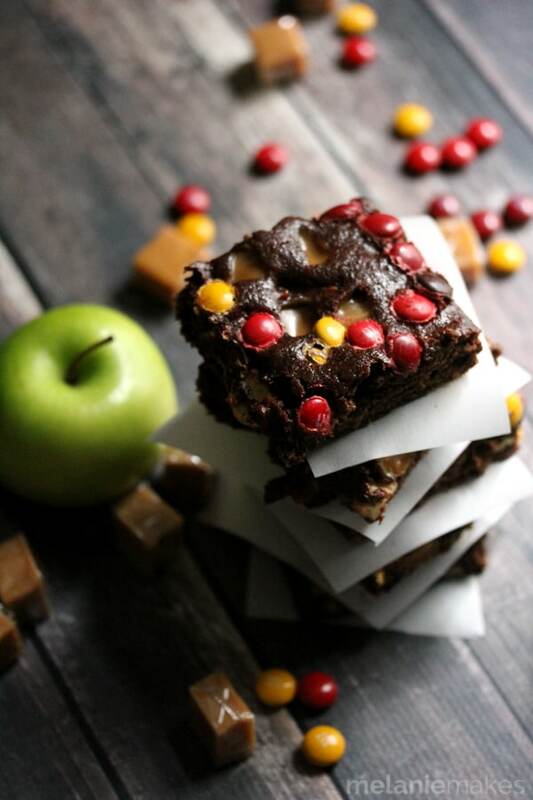 These Caramel Candy Apple Brownies are loaded with flavor! 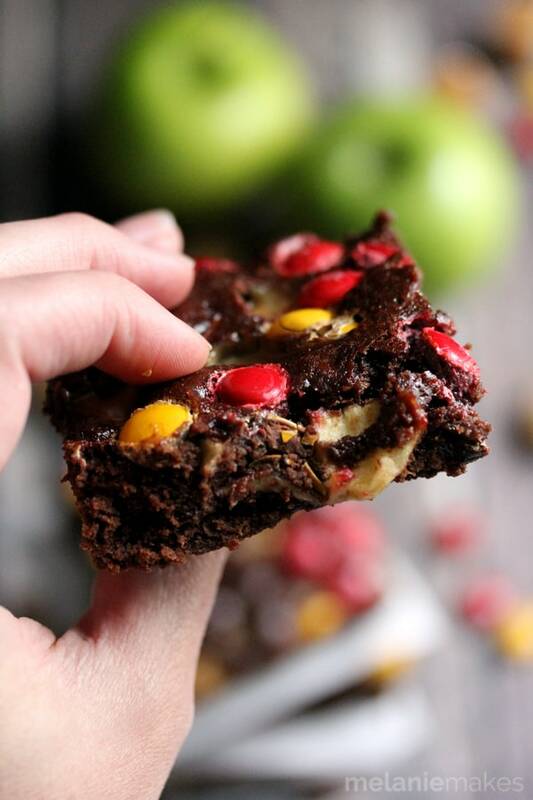 Here you get a sneak peak of the diced apples that are hidden just beneath the surface of the brownies. So good! 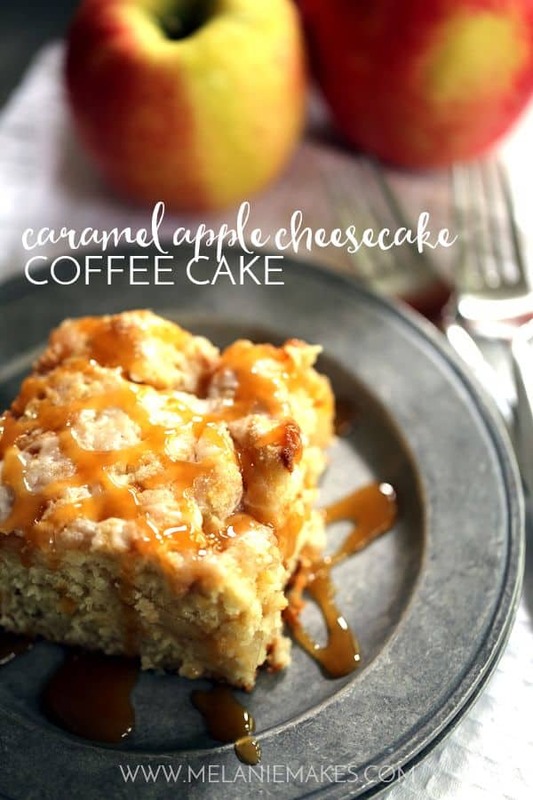 Looking for more great apple dessert recipes? 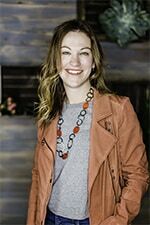 Thanks, Danielle - loved how these turned out! These sound delicious and they are gorgeous! I love the color from the M&M's against that rich chocolate brownie! Stopping by from Saturday Night Fever! Thanks so much for stopping by, Angela! These are some ultra-rich brownies - bring on the frosty cold glass of milk! These brownies are awesome! Apples make everything better, especially drastic changes in weather! Pinned! Thanks so much for your kind words, Des! Looks so delicious, pinning! So glad I found your blog at Show Stopper. Thanks so much for dropping by and for your compliment, Celeste! Craving a bite of one of these bars right now.. they look amazing! They definitely are the perfect slice of fall, Thalia - thank you! apple sauce, m&m's, and caramels?! love these brownies!! Hooray .. Fall is here! Thanks so much, Alice! Wish I could share! 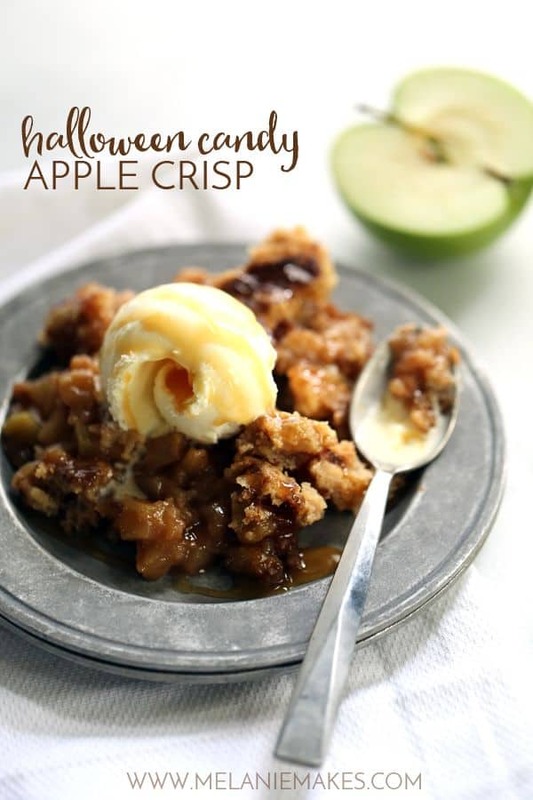 Such a fun twist, and perfect to kick off Fall flavors. My thoughts exactly, Cate - thank you!